Theresa May’s Brexit plan was resoundingly rejected by MPs for a third time yesterday — opening up the possibility of a lengthy extension to the UK’s membership of the EU. The prime minister’s “last throw of the dice” failed and her divorce deal was rejected by a margin of 58 votes. Mrs May, speaking in the Commons after the defeat, said the implications of the decision were “grave”. She added: “The legal default now is that the United Kingdom is due to leave the European Union on April 12. “The European Union has been clear that any further extension will need to have a clear purpose and will need to be agreed unanimously by the heads of the other 27 member states ahead of April 12. Immediately after the result, European Council president Donald Tusk said there would be an emergency summit of EU leaders in Brussels on April 10 to discuss the implications of the vote. Both Labour leader Jeremy Corbyn and SNP Westminster leader Ian Blackford called on the prime minister to hold a general election. Mr Blackford said: “We must give ourselves time and I suggest to her we now must look seriously at the option of revocation – we need to apply the handbrake to this process. “The prime minister has failed to take this deal forward and she does not have the confidence of the House. Speaking after the vote, Gordon Tory MP Colin Clark said: “The SNP and Labour ignore the referendum, sewing chaos to achieve party political demands. People all over Scotland watched the SNP reject the pleas of business. 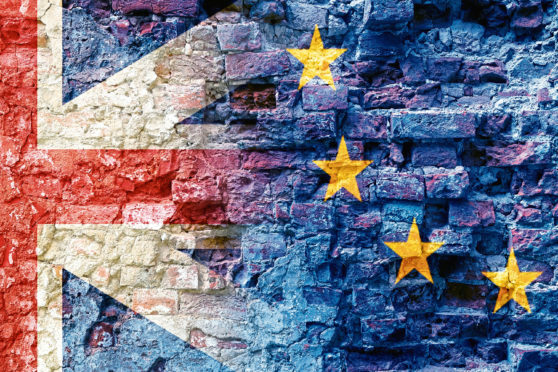 Mike Cherry, chairman of the Federation of Small Businesses (FSB), said: “On the day that we were supposed to be leaving the European Union, all we have is yet another political failure to chalk up. MPs will next consider Brexit on Monday, when a series of alternative exit options will be debated and voted upon. The options are expected to range from a second referendum to a “softer” customs union Brexit.